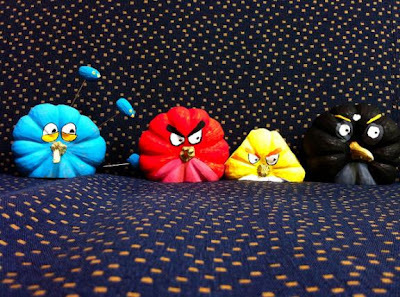 On the flight home from California this weekend was the first time I have ever actually played angry birds for more than 5 seconds. 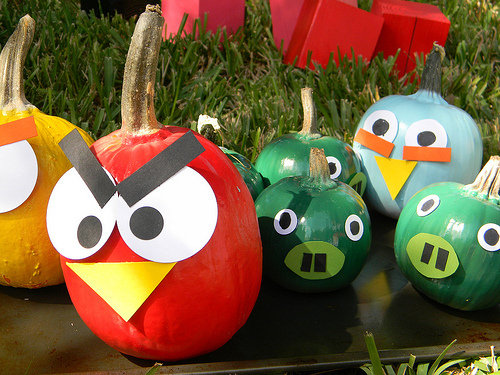 I still don't love it as much as some people, but if my hubby and kiddos decide that they want angry bird pumpkins this Halloween I might not try to talk them out of it. Lizard and Ladybugs made hers with paint and paper. 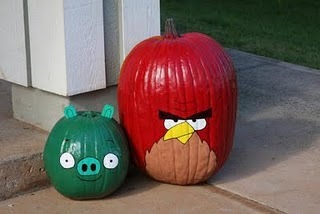 WallYou has a ton of different angry bird pumpkin ideas on their site, like these guys. 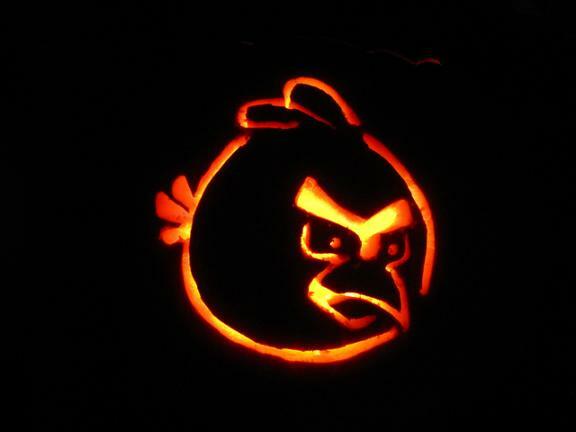 And if you want to carve them out the old fashioned way, Celebrate Halloween has free angry bird pumpkin carving templates on their site. And AlphaMom has a set of free Angry Bird Jack-o-lantern Templates too. And the best part is that when Halloween is over you can play a live game of Angry Birds with them too...if you want to! Thanks for sharing our birds! !